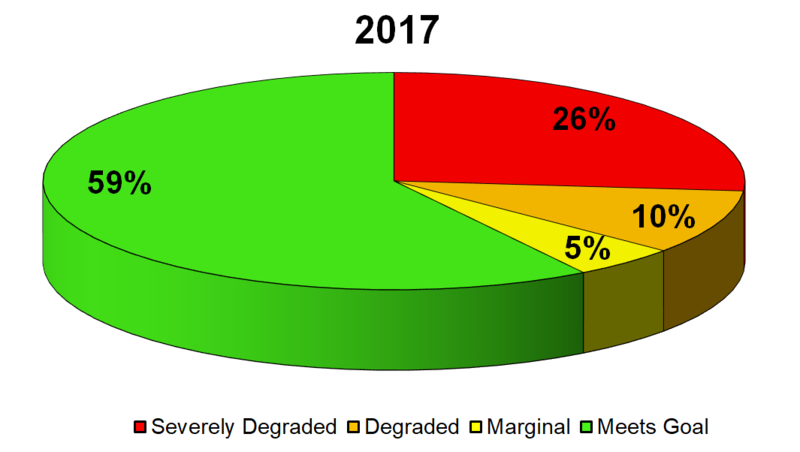 Update: Results for 2017 show an improvement in benthic community condition. How is the Bay doing ? Chesapeake Bay Long-Term Benthic Monitoring and Assessment Program in Maryland. Long-term benthic monitoring has been part of Maryland's Water Quality Monitoring Program for the Chesapeake Bay since 1984. The Chesapeake Bay Long-Term Benthic Monitoring Program (LTB) component measures water quality, sediment quality, and the abundance and richness of benthic invertebrates. The Program is supported by a partnership between the Maryland Department of Natural Resources and the U.S. EPA Chesapeake Bay Program. 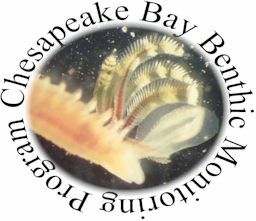 Versar, under a Memorandum of Agreement with the Bay Program's Chesapeake Information Management System (CIMS), provides direct public access to up-to-date benthic information, monitoring results, reports, and data through this web site. If you have comments or questions, please contact us via e-mail. Versar's Role: Scientists from what is now the Columbia, MD, office of Versar, Inc., have studied, monitored, and helped preserve the Chesapeake Bay since 1976. They have conducted components of Maryland's Chesapeake Bay Water Quality Monitoring Program since its inception in 1984. In addition to facilitating the Maryland partnership, Versar coordinates closely with scientists at Old Dominion University and the Virginia Institute of Marine Science, who implement the Program in the Virginia portion of the Bay for the Virginia Department of Environmental Quality.